This wedge pillow is perfect for reading in bed. 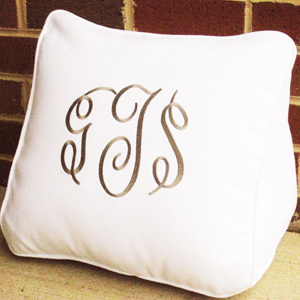 Can be done for your master, guestrooms, or how cute in your childs room with their name. Perfect as a wedding gift for the bride and groom White pique cotton zippered cover.